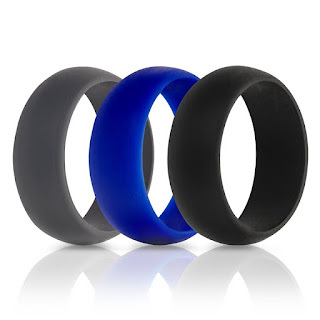 Loving these *POPULAR* Unisex Silicone Ring ONLY $7.99 (Retail $24.99)! For the active people in your life, our silicone rings are the answer. If he is tired of risking losing or taking his wedding ring on and off for various activities- cross fit, water sports, hunting, lifting... we have the solution. Made from medical grade silicone, our bands are soft and comfortable, and do not need to be removed during your activities! No more risk of damaging or worse yet, losing his ring! A perfect alternative for the active lifestyle! Bigger sizes added!